I first began listening to podcasts in earnest two years ago, generally as part of my daily two hour commute. Unlike other forms of media, I like the fact that with podcasts, I can switch off from everything around me and just concentrate on really listening to (and absorbing) the episode I’m playing; of being fully present in that moment. Podcasting allows me to use my commute time to learn more about the things I love; to explore new ways of thinking and ideas; and to see the world from many different perspectives. While product management is just one of the podcast playlists you will find on my phone, it is one that I return to week in, week out, to refine, expand and add to my core skills as a product manager. I’ve put together a list of a few of my favourites. I hope you like them! Hosted by Karthik Vijaykumar, Design Your Thinking brings together the worlds of design thinking and product management with Karthik interviewing leading product management and design managers (mostly from the United States). Karthik is skilled in helping weave a narrative and manages to draw out some interesting and relevant insights from his guests. The Design Your Thinking website includes a summary of what you will learn in each podcast, additional resources relating to the guest and topics covered, making it easy to navigate and choose which podcast to add to your playlist. This is HCD is aims to bring a shared vision and understanding between the people who contribute to the creation of services in the world. It provides fortnightly content for product managers, service designers, user experience designers, user researchers, visual designers, interaction designers and user interface designers to name a few. Hosted by Gerry Scullion and Adrienne Tan, and broadcast from Sydney, Australia, This is HCD is a much needed addition in the product management and design podcast landscape. While a relatively new podcast series, This is HCD has already delivered – covering a range of sectors and elements of business and service design. These include applying design thinking to education; using ethnographic research to uncover customer needs as well as the difference between brand and icon design. One of my favourite podcasts! 100PM is on a mission to interview 100 Product Managers from around the world – and fortunately for us, allows us to share that journey via their podcast. Born out of a desire to bring a diverse range of perspectives to demystify and create a common understanding about the profession of product management, host Suzanne Abate, interviews a global cast of product management leaders. Story telling, and the ability to convey concepts and ideas in an engaging way and with influence is a core skill for any product manager. In this Podcast, Shawn Callahan and Mark Schenk use real life business stories to help listeners awaken the storyteller within. Let’s face it, a core function of product management is the ability to influence and ‘sell’ the value of your ideas and propositions to key stakeholders, customers and backers. If you can’t communicate your idea effectively then you have a problem. 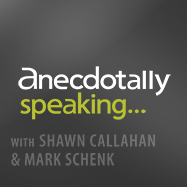 Anecdotally Speaking is a great podcast to help you craft your business and personal narrative and communicate your ideas with confidence. Masters of Scale is an original podcast hosted by LinkedIn Co-Founder and Greylock Partner Reid Hoffman showing how companies grow from zero to a gazillion. In this series of podcasts, Hoffman tests his theories with famous founders. Professionally produced, Masters of Scale keeps listeners engaged as guests tell stories of how they have disrupted the industries they work in and developed sustainable business ideas which they have successfully grown at scale (hence the title!). Masters of Scale is the first media programme in the United States to commit to a 50-50 gender balance for guests. We Need Another Meeting is the brainchild of Josh Tolman and Kyle Jacobsen. Covering a wide range of product management, UX and design domains, We Need Another Meeting is a great resource for both beginner and experienced product managers alike. In addition to covering core topics such as how to manage product prioritisation and scope creep, Josh and Kyle also address often neglected areas such as pricing and metrics. While pitched at pricing professionals, the PPS Pricing Podcast has some valuable insights and lessons for product managers, particularly on defining and creating value. If you have ever struggled to define the value of your product within a business case or monetise your product idea, then this is a must add to your podcast playlist. If you are looking for an alternative resource on pricing, then you might want to try Pricing Prophets, founded by Australian Jon Manning. While not a regular podcast, the there are a number of podcasts you can download from their learning centre. There has been a lot of focus on gender equity (both in terms of representation in senior leadership as well as gender pay gap) and rightfully so. Women product managers are still significantly under paid and under represented. Here in Australia, while women product managers are slowly making gains in leadership roles in product teams, a key reason Adrienne Tan, Laura Cardinal and I founded Women in Product Australia was to actively encourage and mentor women in, or looking to enter, a career in product. While we need to continue to advocate and actively promote gender equity in product management (particularly within the tech and finance sectors in which women are still significantly under-represented) we should not confuse the achievement of gender equity with meeting the diversity test. Diversity and inclusion is so much more. The diversity agenda goes well beyond issues of gender, race, religion and age and should not be viewed like stamp collecting. Having ‘one of everything’ is not enough – we must have a culture which is not only inclusive, but which also actively mobilises and leverages the different perspectives that diversity invariably brings. If you look down at your feet and everyone in your team is wearing the same kind of shoes, then you are in the wrong team. The statement really resonated on many levels. We often see similarity attraction bias within teams, particularly within the startup and tech sectors. In some instances, you could be forgiven for thinking that if you don’t have a beard, wear a black t-shirt, jeans and sneakers you don’t qualify for a career in product management. Good product managers know what many in social sciences are now evidencing – that effective teams not only have diverse backgrounds and experiences but importantly, are cognitively diverse and inclusive. Actively including and seeking diverse perspectives and thinking (cognitive diversity) leads to better outcomes. As product managers, we need to work both broadly and deep within our organisations to find innovative and compelling solutions to customer problems. Innovating and developing breakthrough propositions does not and cannot happen when we have a singular perspective and when we fail to constructively challenge and probe different ideas. By actively seeking diverse perspectives we can insure ourselves against insular ‘group think’ that invariably leaves us developing at best, propositions which bring us market parity and, at worst, products that quickly become obsolete. One of the challenges of cognitive diversity is that it is less visible than other diversity markers such as ethnicity, gender or age. So how can we make sure that we are actively seeking and bringing cognitive diversity to our product ideation and development? When generating ideas, don’t jump too quickly into judgement and evaluation. Don’t confine your thinking to the ‘expertise’ in your team or business. Actively seek out your customers for their perspectives. One of the reasons customer-led design is so powerful is that it actively disrupts convergent thinking. Your customers will have different and valuable perspectives. Hire differently and with cognitive diversity in mind. I recently hired members of my product team using blind recruitment to manage for my own inherent bias with some interesting (if not personally challenging) results. Scott E Page author of The Difference, gives some invaluable advice on how to hire to maximise diversity and you can also test your own unconscious bias by taking the Harvard Implicit Association Test via the Diversity Australia website. While diverse perspectives most often lead to better outcomes, they invariably create more adjacencies and therefore more solutions. As mitigation, any ideation process must have a way of filtering, assessing and ranking them or risk having an oversupply of solutions which, while ‘more’ are not necessarily better. 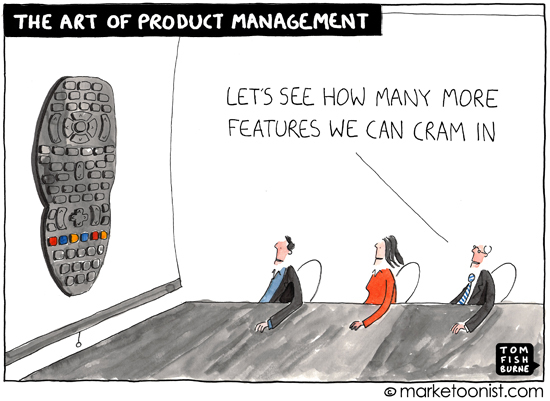 Anyone who has experienced product feature proliferation knows that. Once you have collected and explored possible solutions and ideas then you need to decide what to do and how to proceed. In essence, move from the divergent thinking you have to this point actively sought, to the convergent thinking needed to make a conscious decision. Apply clear criteria to assess your ideas. There are many frameworks you can apply. I personally like to use value driver trees in defining the criteria as it removes any emotion and forces you to link and assess any solution back to the value it will deliver. Jim Semick from Prodplan also outlines a range of great tools and frameworks to assess and prioritise ideas. Don’t confuse collaboration with consensus. While stakeholder perspectives are critical input, you must have an ‘ultimate D’ – the person who has authority (and ultimate accountability) to make the decisions about the product strategy and prioritisation when there are divergent views such that full consensus cannot be reached. 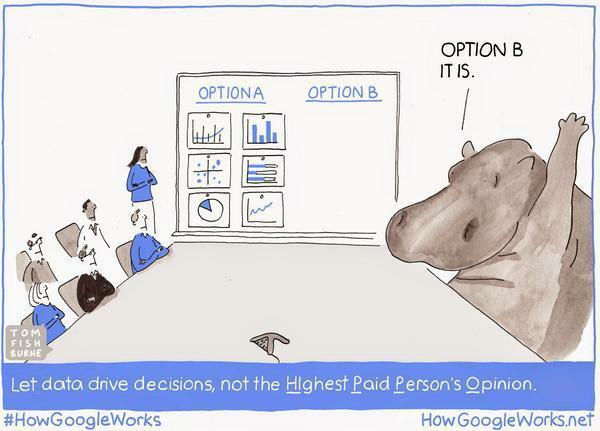 Beware the HiPPO (Highest Paid Person’s Opinion). While Executive opinion and input is important, it should be contextualised and supported with data and rational criteria. The HiPPO effect is authority bias in action and can very quickly undo all the good work that has gone into bringing the power of cognitive diversity to bear. Cognitive diversity is a critical component of good product development and management. While we should not lose sight of the need to achieve better gender equality, the diversity agenda in product management needs to move beyond this to ensure that we bring the full capability of our teams, customers and business in solving complex customer problems and needs. Human-centered design is all about building a deep empathy with the people you’re designing for. While design led thinking and human centred design has been widely adopted in B2C product design, the adoption of this approach within non-tech and B2B contexts has been slow to gain traction. In a B2B market context, just as within B2C markets product managers cannot afford to overlook creating exceptional experiences and propositions for their stakeholders. Functionality alone, is no longer enough to remain competitive and relevant. Join me at the Women in Product Melbourne Meetup as I share my experiences in applying a human centred design approach in a B2B context within the financial services sector to deliver leading and differentiated propositions to market which your B2B customers value. While vastly different films, both explore what it takes physically and psychologically to be the best; to push through the possibility (and reality) of failure, and to design, create and do what has not been done before. In product innovation and management, we are often designing and delivering products (and enhancements) in previously unexplored territory; dealing with customer and business problems for which there is no obvious or known solution. In getting to the goal there is often no straight line. You need to iterate, learn, revisit, refine and work consistently and persistently towards your goal. You need to know your customers and your environment. Take the time to know and navigate your market. If you don’t take the time to explore, listen and learn how can you design and build a proposition your customers will value and relate to? How will you be relevant? An effective team works together and supports each other around a common goal and purpose. They are committed to it and while they might ‘fail’ as individuals, as a team they come together and drive for success. In the Barkley Marathons, Barkley ‘virgins’ team with Barkley ‘veterans’ for support, guidance and mentorship. Experience counts and teams with diverse experience are inherently more successful. Each member of the Noma team brings a unique contribution and skill. That is where the magic happens. 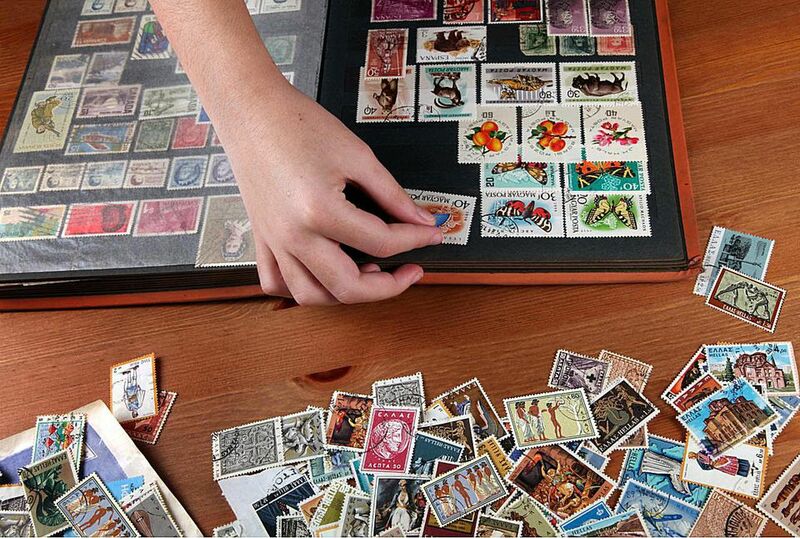 Without the different perspectives, experiences and ideas the magic would be lost. Great teams have fun! Camaraderie, teamwork and fun – all combined lead to breakthrough results. It’s easy to get lost in the BAU of our day to day priorities and roadmap, but there is great value in reflecting and being more deliberate in our approach to designing and building compelling products. Like the athletes of Barkley and the team at Noma, we need to continue to challenge, align around a common purpose and find the simple in the complex. In our second Women in Product Meetup, Sally Capp, Victorian Executive Director of the Australian Property Council will share her experiences as a senior woman in business, in particular how she has managed to stay true to herself and lead with authenticity throughout her career. Not to be missed. Make sure you secure your place via Women in Product November Meetup – Be Yourself. Everyone else is taken. Join Laura Cardinal (Global VP Product, Xero) and the Melbourne Women in Product Community for our inaugural event as she shares her own personal experience as a senior woman in product. What it’s like being the ‘only one’ in the room, and how to not lose your sense of self when your human need to belong is so strong. Whether or not it’s ok to cry at work and what to do about it when it inevitably happens. Why we need to get over whether or not it’s appropriate to use words such as ‘girls’ or ‘guys’. I’ve previously written about the need for Product Managers to actively manage their product performance and financials. At this year’s Product Camp I ran a session on developing product dashboards. The focus of my presentation is re-visited below. Many product initiatives have failed due to lack of underpinning evidence-based analysis and reporting. In order to actively manage performance you must measure, analyse and report on performance. For many the question of what to measure and what aspects of product performance to report on can, at times, be overwhelming. There are many different views on what should be measured and reported; from those who advocate “the single magic number”, to product dashboards that resemble something out of a NASA space mission. I fall somewhere in the middle. I’m not a fan of the single magic number theory. Product Portfolio reporting needs to measure a range of core Key Performance Indicators (KPIs) or OKRs to derive meaningful and actionable insights. Only measuring a single metric means you risk not identifying other core value drivers within your portfolio. A key part of the product manager’s role is to surface and report performance findings and recommendations to Executive and Board management. Whether you work in a company, not-for-profit or start up, you have stakeholders to whom you are accountable to reassure and evidence that, as a whole, product performance is tracking to plan and delivering value – value to your customers; shareholders; investors. That doesn’t always mean profit. Depending on your business model and stage of business maturity, a measure of performance may even be loss making. For example, I have had product lines within my portfolio which were deliberate loss leaders. At a given time in the business, the decision was made to sell and launch certain products below cost. This may have been in an effort to penetrate new markets, grow market share or with a view to up-selling to other profitable product lines down stream. Costs (in insurance this would include claim payments). Within cost, you may also want to break this down by channel and look at the cost to acquire, cost to serve and cost to retain. This can be very useful in determining where to allocate scarce resources and marketing/BD expenditure. Customer retention and satisfaction. Where are you retaining and losing customers? Is your future customer retention at risk? Whatever you decide to include within your product dashboard, you need to balance the scope of what you measure against your key objectives and ability to action and deliver insights. Just as the single magic number approach can risk missing important metrics, equally a ‘smorgasbord’ approach to your dashboard can simply serve to distract and overwhelm the business. Critically you need to measure the right things. Scope – is it broad or focused on a specific part of the product portfolio? Using the SMART framework will help you ‘join the dots’ and make connections across different elements of your product portfolio. In making connections you can identify interventions you can undertake to make the most of opportunities or address issues within your portfolio. You can’t afford to overlook good design.Use customer led design theory in the development of your dashboard. If you need to include reams of narrative to explain particular metrics then it is probably an indication that the metric you have chosen needs to be better defined or is too complicated. Who is the report intended for? How high level or detailed does it need to be, given your audience? Can visual communication aids such as graphs, traffic lights and charts be more effective in communicating key information? What decisions do they make? What questions do they need answered to help them make those decisions? How proficient are they in understanding and measuring key performance indicators/metrics? How much time do they have to review the dashboard? Think also about the way in which your audience is likely to consume your product dashboard and any associated reporting. By this I mean, are they likely to consume the report electronically, or via paper based reporting? Will they be able to view your report in colour or do you need to design your report to be able to be read in black and white? It’s not dissimilar to designing software and needing to understand the inter-operability environment in which it will be most commonly used. I once had a boss who was colour blind. I had very enthusiastically developed a dashboard report, based on RAG (Red/Amber/Green) traffic light reporting. Very informative for me but unreadable for him. My solution?, I added status wording below each RAG indicator. A good lesson for me in making sure I knew my core audience! Your product dashboard and reporting is not static. It will evolve and iterate over time. As business needs or market conditions change, your dashboard needs to reflect the changing priorities of the business. As with all prototypes and products, actively seek feedback from your key stakeholders. Do they find it useful? What areas of the dashboard do they most regularly refer to? Any suggestions they may have? The insights you gain from your dashboard should be a primary tool in the ongoing prioritisation and management of your product portfolio. Gut and intuition have a part to play (and something we develop over time) but having a well defined dashboard will help you amplify opportunities, and intervene early when issues emerge. Women in Product (Melbourne and Sydney) is a place for women to openly talk and discuss all topics related to Product Management, Product Design and Product Development. Founded by Adrienne Tan (Brainmates), Laura Cardinal (Global GM and Vice President, Xero) and thatproductchick, Women in Product was started to provide support and mentorship for women in Product Management. Our first event is kicking off in Sydney on the 12th of September, with our first Melbourne event currently in planning. Really excited and humbled to have been selected as a judge for the 2016 Search for the Next Tech Girl Superhero. Over 130 entries from across Australia. Looking forward to learning from the next generation of amazing tech and product women as they strive to solve a problem in their local community using technology for social good. The world can always use more superheros.